We just beat Olympiacos at home in a very good game. It was a great win for us. We know Olympiacos is an amazing opponent and we say that because we played a lot of games against them in the last few years, so we are happy that we were able to beat a good team like them. I think it was a nice game to watch for the fans, very interesting. You can see that the intensity is rising and everything is heating up. Everybody knows that the playoffs are coming and we will see many more good games in the near future. We got amazing support from our fans, who gave us extra motivation. One of the main reasons why we are first in the standings right now is because we didn't lose at home this season. We turned Ulker Sports Arena into a fortress and that was one of our main goals this season. Everybody in the club works hard to make our home court a tough place to win on the road. If you want to win here, you must work very, very hard. Our fans know basketball, and this is very important. They know when they need to push for us, when we need them the most, and also when to stay quiet. They know when to be loud and when a moment in the game is not so important. It is different than football. I have great respect for fans who go to football and basketball games, of course, but it is just a different kind of cheering. In football, there are a lot of people singing their songs for the whole game and when they score a goal, everyone shouts and celebrates. Here is different: it is more active, more intense, sometimes you boo, sometimes you don't. Our fans mean a lot to us. 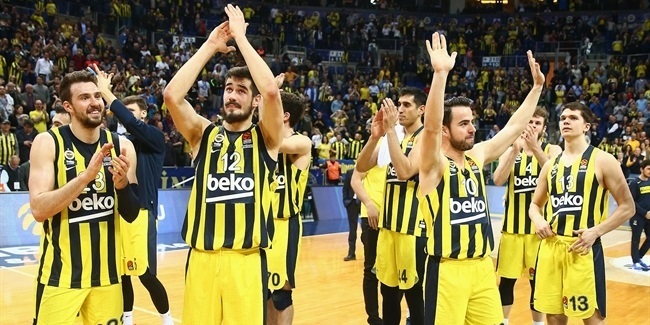 Everybody knows that it is so much better to play in front of a full gym, especially if they are supporting us, as Fener fans do. "Our fans know basketball, and this is very important." By playing professional basketball, we cannot say we are doing the hardest work in the world. It is a nice life and nice work, but it is much harder than most people think. It is not just practicing a couple of hours a day, or playing a game, and that's it. There is a lot more to do than that -- a lot more. You spend hours preparing for your next game, the meetings, the therapies, the cold tubs... And we have been devoted to basketball for many years, not doing things that other people our age do, like traveling. Every summer is reserved for practicing. I can say that we have a job that we never thought about, but sometimes people don't understand that it is different and a lot more difficult then they think. Also, we have to study at home. 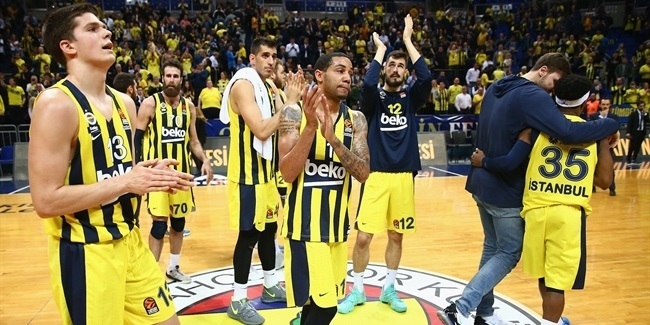 We have guys in Fenerbahce -- assistant coaches, scouts -- who prepare us for the next opponent, but everybody must do their own preparation, too. For many years now, I like to watch every game that I play to find out what I could have done better, what I did well and what I did wrong. I believe that many players do the same, too. At the same time, I like to watch our next opponent to have a feeling about what they are going to do and how they will react. So, it is just not just practice, it is all that comes with it: video sessions, tactics, scouting, therapy, taking care of your body. Speaking about tactics, I would like to talk about how guards are dominating the game these days. Being a forward, I am caught between the guards and the big guys. I've had some crazy thoughts while watching basketball lately. There are many amazing players but the guards are dominating the game lately, both here and in the NBA. I am sure guards will disagree, but still. Some years ago, when we had dominant big guys who played inside, they brought a whole set of new rules to make big guys less dominant. So now that the time has come for guards to be dominant, maybe it is time to have some new rules. I don't know how the game would change if, for instance, we eliminate the three-point line. Maybe basketball would be fairer for everyone. "Maybe they could restrict the use of pick-and-rolls to one per offense." 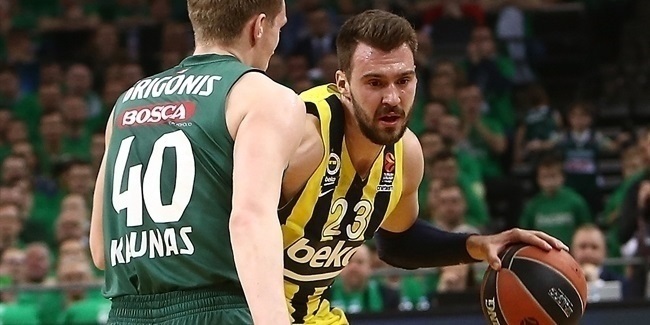 The EuroLeague has been dominated by guards for many years, too. Jan Vesely is not a typical big guy, of course. He is fast, explosive and does a lot of great things, but there are a lot of pick-and-rolls in the EuroLeague. He has mastered his way with a great coach and with great players who feed him like Kostas Sloukas and Bobby Dixon [Ali Muhammad]. But if you think over the last 10 or 15 years, names like Diamantidis, Spanoulis, Holden, Papaloukas, Teodosic, Llull, Doncic, De Colo, Sloukas and others were the ones who dominated. There are many comments that nobody is playing in the low post anymore and stuff like that, but it is hard for the big guys to play there if you have the paint full of defenders, and so many restrictions. It's just a thought, but maybe they could restrict the use of pick-and-rolls to one per offense. Just a thought! Finally, I would like to congratulate Novak Djokovic for winning another Australian Open. He is a big basketball fan and was at the Final Four in Belgrade. He is really an incredible tennis player, and I don't think people in Serbia realize how big Djokovic is in world sports right now. I got to know 'Nole' in the Olympic Games and he is an amazing guy. I talked to him a little bit and I could tell that he was down to earth, with both feet on the ground. I am really happy that he is back at his best level. Some other basketball players, like Milos Teodosic, have a better relationship with him, and they hang out together whenever they meet. He had a rough period with a lot of injuries, and there were a lot of comments in Serbia about him not being great again, as if his time had passed already. He proved what a great champion he is and won his third Grand Slam title in a row. I am very happy for him and wish him all the best!